Happy New Year! Please join us for the first PTA Meeting of 2013, on Wednesday, January 23rd. 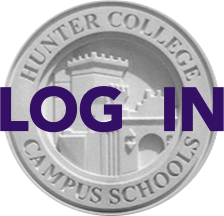 The 6 pm Premeeting will feature parents of recent HCHS alumni giving their Top 10 Hints for helping your students make the most of college, plus how to best handle the transition yourselves. This is targeted to junior and senior parents, but open to all parents. The 7 pm main meeting will feature acclaimed authors Craig Hatkoff and Rabbi Irwin Kula speaking about how to use digital-age techniques to help our kids (and ourselves) create bridges in an increasingly polarized world. As always, refreshments will be available starting at 6:30 pm in the Auditorium Lobby. And bus service home to Queens can be reserved by emailing Yun Zhong Shu at bus@hunterpta.org by noon on Tuesday, Jan. 22. Questions for the speakers should be send to Ayelet Sela at programming@hunterpta.org. Click here for more details.